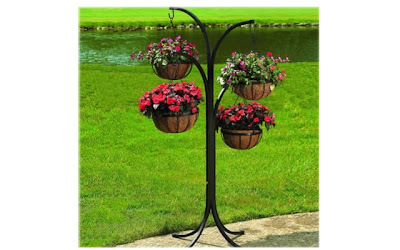 The CobraCo 4-Arm Tree with 4 Hanging Baskets is currently selling for just $54.02 on Amazon.com! You will be saving 35% off the listed price of $82.68 with this home furnishings deal. More information about this hanging basket tree . . .